Johnny “Boots” Giannicchi is the real deal: a fabulous blues- rock guitarist and singer who has gigged and worked hard to get where he is today. Besides these roles, this Connecticut gentleman is also the band leader and producer of his latest release, All or Nothing. This CD is a blues-rock juggernaut that includes nine original tracks and four well-chosen covers. There is a definite Stevie Ray Vaughan vibe to this work, with occasional forays in the directions of delta blues and country. Johnny is joined on this release by Peter Bennett on bass and Darro “Sparkie” Sandler on drums. This power trio is augmented on occasion by the tremendous Hook Herrera on the harmonica and co-producer Paul Opalach, who sits in with various instruments on many of the tracks. All of these folks are more than capable musicians, and any changes in personnel are not obvious as there is good continuity throughout. 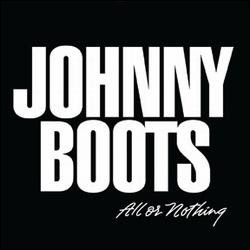 “Stone Cold” is the lead-off track for All or Nothing and right away the listener can hear that Johnny Boots has a masterful grasp of blues and rock guitar. This is an uptempo 12-bar blues song that uses some great kitchen metaphors to describe the inevitable swings of a grown-up relationship. Johnny’s voice proves to be strong with just the right sound for this genre. It was a wise choice to position this song up front on the CD. One of my favorite tracks on the album is the title track, “All or Nothing,” which has a lot of 1970s psychedelic blues rock in it. Lots of soaring guitars and ride cymbal on this one take me back to my youth. I am picturing a smoky concert arena with oodles of red stage lights when this one is playing through my headphones. They managed to sneak a ballad into the mix and “Actions Speaks Louder than Words” is a great song with heartfelt lyrics. This track is a perfect opportunity chance for Johnny to slow down and show off his voice. His guitar work is sublime on this track, and shows that he knows enough to not have to play every note just because he can. Stacy Williams provides vocals for “It Takes a Big Girl to Cry,” which is a duet that comes straight out of the 1950s. Ms. William’s voice meshes perfectly with Johnny’s, and this slower tune is a nice change of pace. 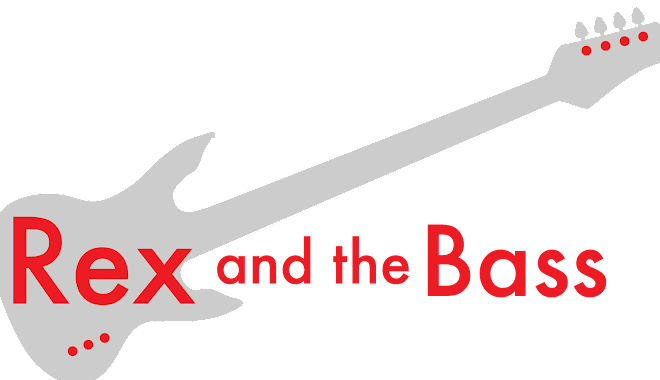 Opalach brings the bass guitar and keyboard parts, and Boots gives the listener some tasteful picking on his electric guitar. Johnny Boots does not limit his songwriting to temporal subjects, and feels comfortable expressing his eternal views in “Hosanna.” I had not expected to find a Christian rock anthem on this album, and this one is a neatly-crafted song, with many layers of acoustic and electric guitar. There are some nice backing vocal harmonies, as well. The cover tunes run the gamut of blues, and include Robert Johnson’s “Crossroads,” Son House’s “Death Letter Blues” and “John the Revelator,” and Elmore James’ “Shake Your Moneymaker.” “Crossroads” is the funkiest version I have ever heard, and Hook gets to tear loose with his harp. Things don’t go too far astray, and the spirit of the original is still there. Both of the Son House songs start in a more traditional delta blue style, but electrify quickly. House’s lyrics surely stand the test of time, and would make these tunes work no matter what you do to them. “Shake your Moneymaker” is one of the faster versions around and is chock full of crazily distorted guitar, in a good way. The album ends on a fun (and patriotic) note with “Rodeo Girl” which features Paul Opalach on bass guitar, baritone guitar, keyboards and percussion. He is a jack of all trades, apparently. This song has a countrified sound to it, and the sound of the guitars and the layout of the story give this one a Tom Petty and the Heartbreakers feel. All or Nothing is a slickly-produced CD with plentiful guitar chops and thirteen very listenable tracks that provide almost an hour of musical entertainment. It is a great follow-up to Johnny Boots’ previous release, Everybody’s Got to Eat, and any fan of blues or rock will find something to like on this one. I recommend that you give it a listen; you will certainly get your money’s worth! Do You Need a Generator for Your Gig?